Google G Suite is an excellent collection of productivity applications for organizations. G Suite has outsourced email so that it can be delivered from the web and without any on-prem servers. File storage is now in the cloud with greater capacity at lower prices. The standard Microsoft Office suite of applications has also been knocked off with solid results. And then you have video conferencing and meeting software in the form of Hangouts. 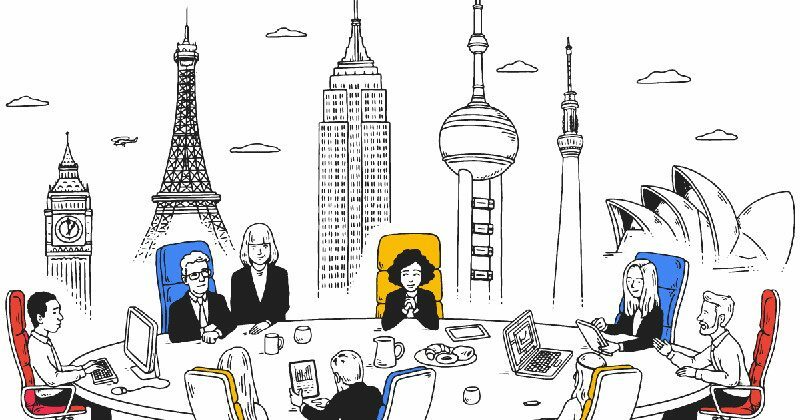 All told, G Suite can help run the infrastructure of just about any business. 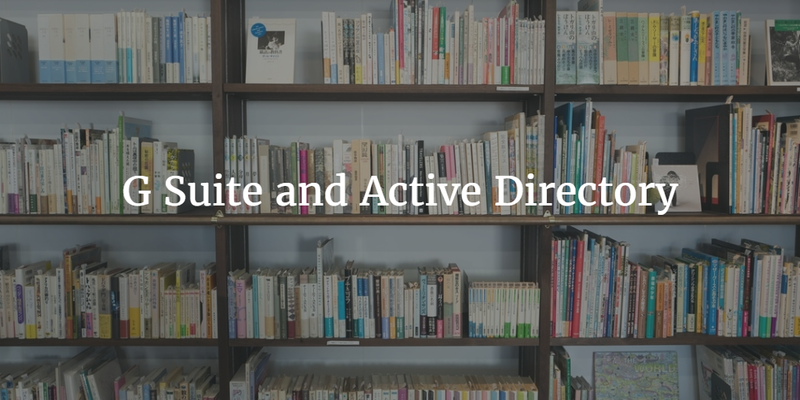 Unfortunately, G Suite doesn’t have an alternative to Microsoft Active Directory. Google’s made a huge push with G Suite. Since its introduction in the mid-to-late 2000s, what was then known as Google Apps has dramatically grown. Now with over 5 million business customers, G Suite is a core component for IT organizations looking to make the leap to the cloud. Microsoft even has fought back with their cloud platform called Office 365. Both companies are fighting for an important and critical market. The stakes are high because if each company can own the customers, then they can sell a great deal more software and services to them. Historically, Microsoft has locked customers into their ecosystem with two primary methods: the Windows operating system and Active Directory. Since most organizations were based on Windows, Microsoft built a user management tool to help control user access and device management. By using Active Directory, Windows machines and applications were easier to administer. The two Microsoft technologies mutually supported each other into a vicious cycle of profits for Microsoft. G Suite is a critical threat to the Microsoft franchise. The operating system is made less critical by shifting key productivity solutions to the cloud. Mac- and Linux-based systems can still leverage G Suite just fine. Unfortunately, G Suite didn’t take the next step and replace Active Directory. IT organizations are left to fend for themselves when it comes to creating a G Suite user management or identity management platform. G Suite has a basic directory that largely serves as the user management system for the Google applications. A broader identity provider to authenticate into systems, applications, and networks is outside the scope. As a result, there is a need for a complementary cloud identity management platform. That platform is called Directory-as-a-Service®. Tightly integrated with G Suite, IT organizations can leverage the cloud-hosted directory service as a companion to G Suite. Instead of Exchange and Active Directory, organizations can choose G Suite and Directory-as-a-Service. With Directory-as-a-Service as an alternative to Active Directory, IT organizations can now completely shift to the cloud and avoid the lock-in of Microsoft solutions. If you would like to learn more about how G Suite and Active Directory work together, drop us a note. 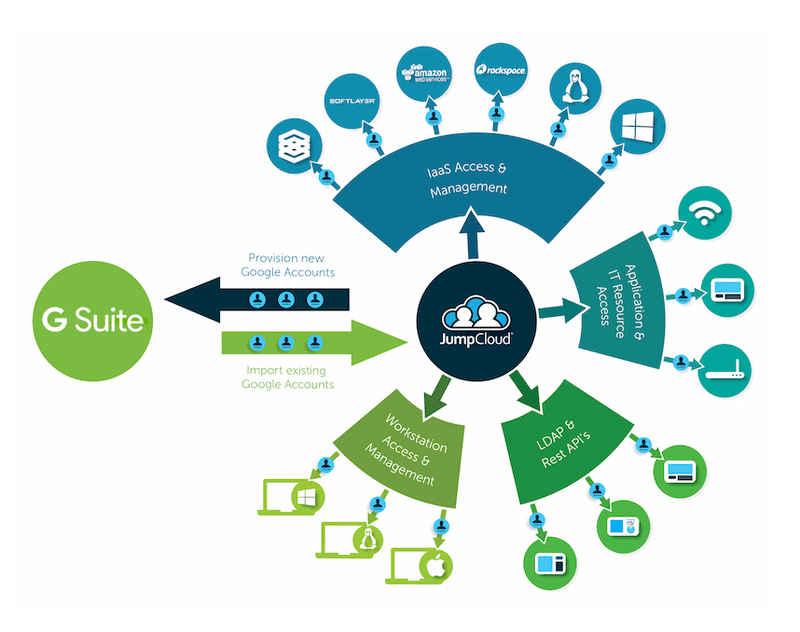 Alternatively, take a look at the integration between G Suite and JumpCloud. You will replace Active Directory and get tighter integration with GApps.